The second Asian book and ninth book overall that I’m counting towards the global reading challenge finds me in India. It is 1960 and India has been formally independent from Britain for thirteen years but there is still much uncertainty and unrest in the burgeoning democracy. In Calcutta the local Anglo-Indian community is having a luscious picnic to celebrate a Saint’s day when the body of a young woman is found by Joan D’Silva’s 10 year-old son Errol. Because Errol is too young to give a formal statement it falls to Mrs D’Silva to do so and to appear at the Coroner’s Enquiry. Joan D’Silva is a widower and teacher at the local Catholic school and she is unimpressed with the cursory investigation into the woman’s death by authorities. When the young woman’s friends ask her for help in finding out what really happened to the girl she feels it is her duty to do something. I found the political and historical backdrop to this book quite fascinating as it’s a time I don’t know a lot about*. Having grown up in one of the most politically apathetic stable countries in the world I like reading about times of change in other countries partly because it’s such a different experience to my own and also because it does tend to provide opportunities to highlight the best, and sadly the worst, of humanity’s traits. Here we see people divided into those who like the security of doing things the way they were done under British rule and those who want the new country to forge its own way and I thought the author did a fine job of showing why both approaches would attract staunch adherents. I very much enjoyed the characterisation of Joan D’Silva who is a wonderfully strong woman with a sound sense of morality and social justice. She and her son are befriended by Phillip, a new teacher to the school, and he is also a promising character who can be counted on when things get a bit hairy.The rest of the people are not really explored in any depth though there are enough appearances by various archetypes to keep the story interesting. Food plays a significant role in the book in one way or another (there are even delicious sounding recipes on the inside covers) and, as it does in most cultures the world over, proved a very successful plot device for exploring different aspects of society. On one level the story is quite a light read vaguely reminiscent of a cosy mystery though it never strays into the twee territory. But alongside marriage proposals and lavish parties the investigation draws Joan D’Silva into a world of corruption, racism and brutality and there are some very sad moments and plenty of tension. The book combines an entertaining story with engaging characters and taught me something I didn’t know before and you can’t ask for much more than that. 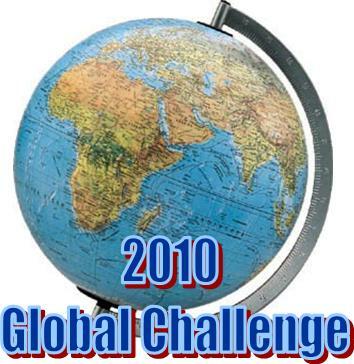 This entry was posted in book review, Glen Peters, Global Reading Challenge 2010, India. Bookmark the permalink. I think this sounds very interesting and Mrs D’Silva sounds like my kind of hero. Thanks for reading and sharing this with us! British and American history (+ Danish) is a piece of cake but I studied German history at some point so I can confirm there is an awful lot of history! Pleased you enjoyed this one Bernadette. My interest in history is only matched by my interest in food so I really liked Mrs D’Silva. Thanks for the mention. Bernadette, I am so pleased you enjoyed this novel. I adored it and wish it had more prominence. It’s one of those books that makes one sad to have finished reading it, to leave the characters behind. And, like Norm, I say thank you for the mention!